Circus Tent - הירשל ציג'ס בלאג: "מ'זאל נישט מאכען פון די מצה א פרעס"
"or maybe he'll tell you how it's עונג יו"ט to have Matzoh brei/farfel/toast and kneidlakh." "Chassidim that seem to be so heavily invested in the פרעס." The litvishe are heading to Pesach cruises, and occupy most 5 star hotels for Pesach!!! at a bargain price of $25,000. per --It's "all inclusive" no need to "shop" for the newest Pesach "sugar puffs" available in 500 different flavors from the OU Mizrachi fress conglomerate! who are behind this atrocious travesty.
" לולי דמסתפינא we would eat a simple gebrokts"
"Your Sugar Might Be Made With Animal Bones." "?מאכען פון די מצה א פרעס"
S: "Leave it to the שארפע in Prszyscha to get straight to the point,"
So what's "the" point ? Breaded fried fish. Back in the day, that was a famous yidishe maichel. 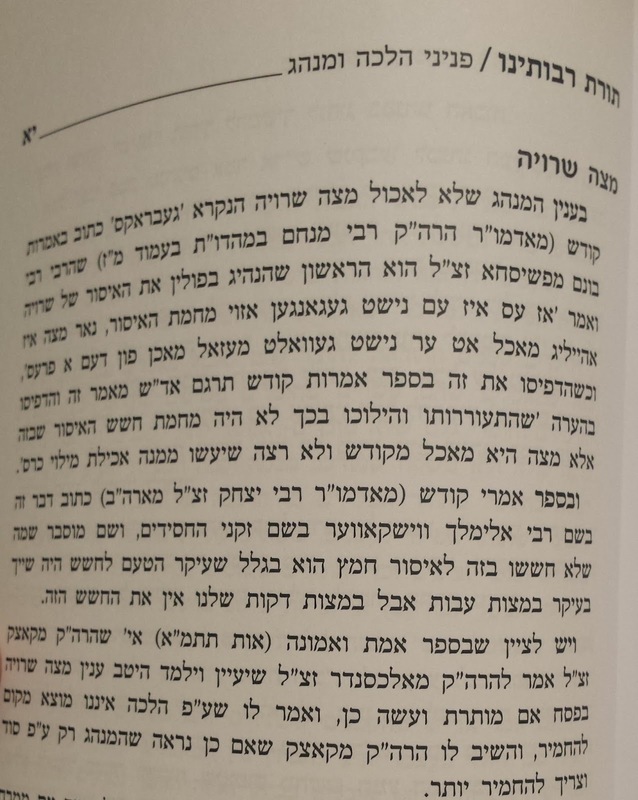 "the שארפע in Prszyscha to get straight to the point"
sounds like it but, there were no frying oil for pesach than, and of course no schmaltz with fish. could be the used frying fish oil maybe. ע"ה לטגן means to "fry" could be it's a translation of.. idk and I'm lazy, it's not fish & chips time now anyway. Right, those people are all Litvishe. They learnt in Beis hatalmud and still have a daily mussar seder. They have burnt matzos by the seder and drop $400 on their lulav. Just one question, why are they all advertised as 'non gebrokts'? Litvishe eat gebrokts. Perhaps the clientele is from a non gebrokts eating background. וועלכע חכמים? און וואס איז די ׳מסורה׳ פון שנאת ישראל נישט עסען ביי יענעם אין שטוב? מ׳זאל עסען וואס עס מאכט די יו"ט לייכאער פאר די פרוי, און בשעת די עסען זאל מען נישט טראכטען דערפון, נאר פון די מצוות היום. נישט אריין טאנצען אין טעלער. די אלע שארפע אויסדרוקען זענען תאוות ווי אלע תאוות. "Getting baked on Passover not just for matzah" (fresser's). Menachem Genack, CEO of the OU’s kashrut department, --- was certifying its marijuana products, kosher for Passover. ZiDi: "Just one question, why are they all advertised as non gebrokts? " what do you expected from a home grown 'cookie maker' to write to litvishe consumers. it's all "sugar" and starch, with chemicals and ingredients made available to them cooks and bakers expressly by the infamous OU outlaws, for Passover! of course there is no kebrokts, at $39. a pound for matzos, sugar starches is way much cheaper. (unless it's kosher hisacdus sugar, no 'fillers' added, and no bone char derieviets. which none of the hefker velt brands use.). A typical hamburger: can pack as much as 600 or 700 calories and 9 grams of saturated fat. A typical frankfurter: with bun, will have only around 270 calories, and 6 grams of saturated fat, although many are sodium bombs, packing 500 milligrams or more per dog. וואס פונקט האב איך געשריבען? ווען? אויף וואס? ZiDe-haman: "They have burnt matzos by the seder and drop $400 on their lulav." דורס : " "OU’s kashrut department, --- was certifying its marijuana products, kosher for Passover"
an acquaintance of my told me a true story: he once called the old debreciner ruv before passover asking: if he should 'strain' coke before passover ? he answered short: if you use coke, you are immune of asking any shaloss ! 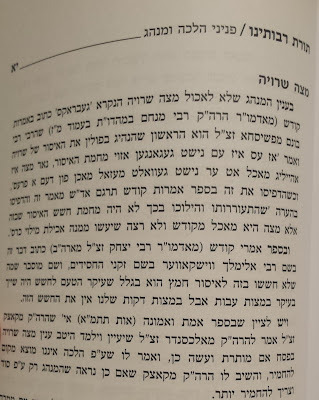 any suggestions on this pesak, regarding ou kosher weed on pesach? so what what happened to good old lady fingers for pesach? Q. seed is "kitniyot" is the ou certifying kitniyot for pesach ?.